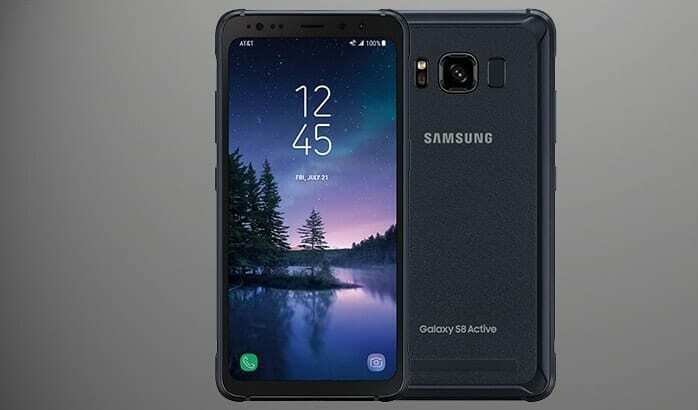 Dealing with a performance issue on Samsung Galaxy S8 Active is easy using complete troubleshooting action where it will solve most of the most common cause of such problems and brings the phone back to life. Performance issue on a smartphone is the kind of issue that stops the phone from working as it supposed to do. In worst cases, the issue will stop the phone from working completely. The common performance issue that happens to a smartphone is slow performance, apps that keep shutting down for no obvious reason, the battery that running out of its power faster than it used to, the phone that feels hot to touch and so on. When such issue happens to Samsung Galaxy S8 Active, there are two options you have in hand. First, you can take the phone to a service center and have a technician to fix it for you, or you can perform basic troubleshooting to fix the issue on your own. What makes Safe Mode part of basic troubleshooting action? Because it can help you to detect the cause of the problem, whether it happens because of 3rd party app or not. In Safe Mode, the entire 3rd party app won’t be loaded. It’s like the temporary state after performing factory reset. When the phone is in Safe Mode, check for the phone feature and function. Look for any sign of trouble especially the one that shows up in standard operating mode. If no problem shows up, you can be sure that one or maybe more than one of those 3rd party apps are the cause of the problem. Now you can check for each of those additional apps to find and culprit and uninstall it to solve the problem. Power off your Samsung Galaxy S8 Active. Press and hold Power button until Samsung logo appear on the screen. When Samsung logo appears on the screen release Power button and press Volume Down button immediately. Keep pressing Volume Down button until the phone finished it boot up process and you see the home screen is on. Notice the “Safe Mode” text written on the bottom left of the screen, which means the attempt to boot into Safe Mode was a successful one. As mentioned before, check for the phone’s performance in this mode. Once you determined whether 3rd party app causing the problem or not and you already take the necessary actions, you can go back to the standard operating mode by reboot the phone as usual. The next basic troubleshooting action to try is Recovery Mode. It means you need to boot into Recovery Mode where only the essential part of the system that will be loaded. No firmware and definitely no app can be seen in this mode. Why do you need to boot the phone into Recovery Mode? Because in this mode, you can perform recovery action to bring the phone back to normal such as wipe cache partition, factory reset and also software update. You also can try to boot into Recovery Mode if you can’t boot the phone into Safe Mode. Turn off your Samsung Galaxy S8 Active. Now, press and hold Power, Volume Up, and Bixby button in the same time. Keep pressing until you see the “Recovery Booting” written on the top of the screen and then release your hold on those buttons. During the booting, you may get message that warn you that the phone is entering “Recovery Mode”. Choose to continue with this process. Now, pay attention. You can’t use the touch screen in this mode. The only way to move between the options in Recovery Mode menu is by using Volume button. Press Volume button to move up and down and also to highlight the option. When you already find the option you want, highlight it and press the Power button to select it. Are you done with this mode? Go back to standard operating mode. Highlight the “Reboot system now” option and press Power button. It will bring you back to the normal operating mode and you can use the phone as you normally do. The next in line of basic troubleshooting action is wipe cache partition. What makes this action part of basic troubleshooting? Now, do you know about cache or temporary data? Cache was stored in the system to make sure that the system able to load and launch the app faster and smoother. But sometimes things can get too crowded and cache data may turn bad and corrupted. When it happens, it will affect the phone performance. Imagine it this way, a room full of broken and bad stuff that laying everywhere. It surely will block the road so no one can get through. If you cleaned it up, you will be able to get through it once more. That is the same with cache partition. If you clean up everything, you will enjoy a fine and smooth performance once more. Boot the Samsung Galaxy S8 Active into Recovery Mode. Use Volume button to move between the menu and highlight “Wipe Cache Partition” option. Press Power button to select this option and wait for the process to complete. When it’s done, find the “Reboot System Now” option and use Power button to choose it. The system will rebuild cache data once more and you can enjoy the maximum performance of your phone. Wipe cache partition won’t take too much of your time and it was safe to do because it won’t erase any of your valuable data. Safe Mode, Recovery Mode and wipe cache partition is the basic troubleshooting that everyone can perform when dealing with performance issue on Samsung Galaxy S8 Active. Only when those troubleshooting action didn’t work to solve the problem, you need to take a more advanced action such as factory reset.